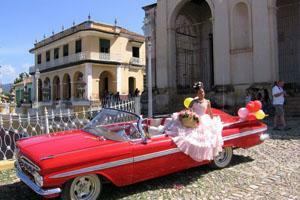 Here is a short itinerary for a 9-day stay in Cuba that can help you in planning your trip. To leave Havana you will need to hire a car as public transportation in Cuba is very weak; it is much easier to drive on your own. Even more convenient to book a fly-and-drive package, so you will have a car plus an open voucher for hotels and you can decide where to spend the night during the trip. Day 01: arrival to Havana, capital of Cuba, getting to the accommodation. Day 02-03: exploring the city. Many sights are located in the Old Town, so during two full day tours you see Cathedral Square, Bodeguita del Medio Bar, Hotel Ambos Mundos, Obispo Street, Capitolio, Partagás Fábrica Cigar Factory, Floridita Bar and Restaurant, Finca la Vigia (former residence of Hemingway), Havana Club Rum Museum, Plaza Vieja, Plaza de Armas, Real Fuerza, ruins of Old Havana. Located out of the Old Town but worth seeing is the Tropicana Show, Castillo del Morro fortress, Plaza de la Revolución or Cristobal Colón cemetery. Day 04: Day trip to Vinales Valley. 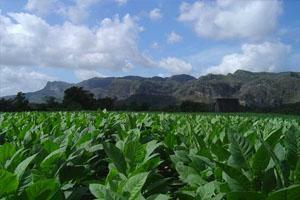 West from Havana you can visit tobacco plantations of Pinar del Río province and from the look-out tower you can admire the picturesque valley. On the way to/from the valley you can stop at Soroa and visit the beautiful orchid garden and swim in the waterfall. Day 05: Here comes a long drive, but it worth the hours spent in the car as you will see palm gardens, orange and banana plantations next to the road leading from Pinar del Río to Guama. This area is located on the Península de Zapata (shoe) and has special flora and fauna. 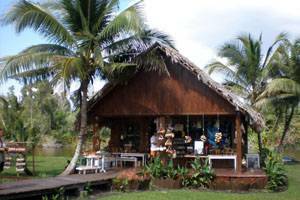 You can visit a nature reserve, a crocodile farm and an Indian village here. Not far from here you can swim at a beautiful lagoon. It is recommended to spend this night at Cienfuegos; it will be one more hour of drive. 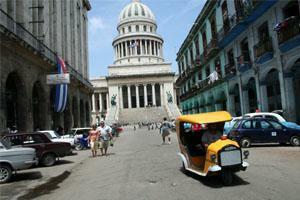 Day 06: After relaxing a bit at the hotel you can explore the city of Cienfuegos. You will see the wonderful beach promenade, the building of Tomas Terry Theatre, the former palaces of sugar barons, the mystical Jagua fortress and the nice main square of the town, named after José Martí. In the evening you can continue to Trinidad and sleep there, it is only 1 – 1,5 hour far. Day 07: Get into the centre of Trinidad. The cobbled streets, colourful houses, Spanish squares makes you feel being in the colonial times. Do not forget to drink a honey-rum cocktail at the famous Canchanchara Bar and visit the Romantic Museum. The Hacienda Manaca Iznaga (former estate of the family with an exhibition of thraldom and the look-out tower of the Sugar Mills’ Valley worth a visit too. 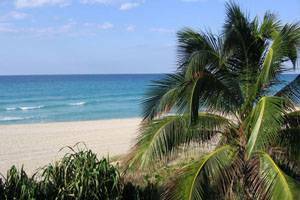 In the afternoon hours you can drive to Varadero, one of the most popular beaches of Cuba. It will take cca. 3,5-4 hours. Days 08-09: Relax. Enjoy the white sandy beach, turquoise water, shadow of a palm tree and your icy Cuba Libre. All the beach hotels operate on an all inclusive board and besides food and drink many water sports are included in the price too. So if you are bored of sunbathing you can go get a canoe, kayak, water bike or learn salsa at the beach. You can also book excursions like catamaran tour, speed boat trip, swimming with dolphins and many others. Day 10: Every holiday must end once, it’s time to get to the airport and fly home with the life long experiences you got in this wonderful Caribbean country. Miguel who lives in Pinar del Río, works for Cubafiesta, a Cuba accommodation booking agent, and he is a professional travel agent. 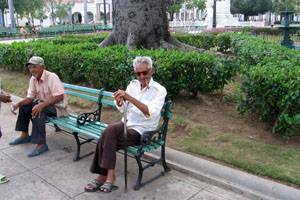 He shared his experience about the most often asked questions, “Where to go in Cuba?”.